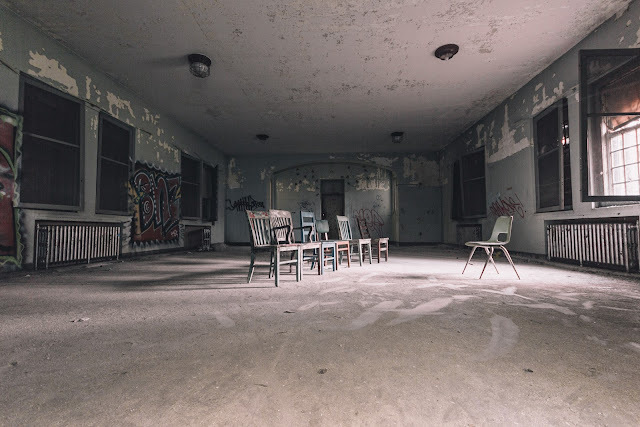 The children's ward is the most popular section of Rockland that everyone heads straight to this building without fail. It does have its appeal with other explorers. 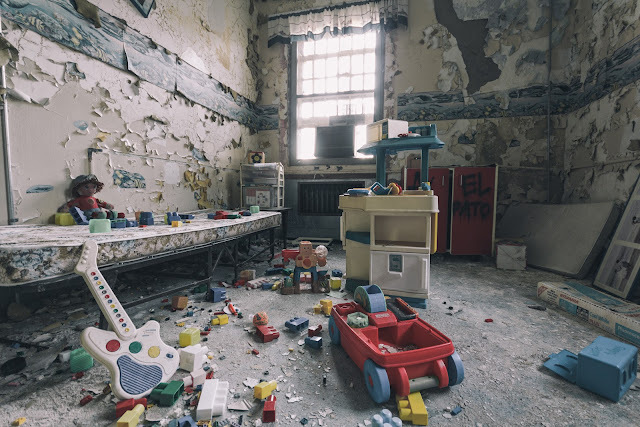 The brightly colored toys, destroyed murals and daycare equipment all scattered around the building. 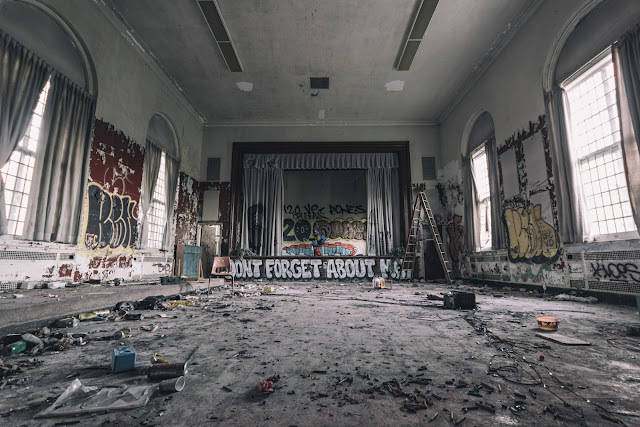 Here you can find the modest auditorium where I assume shows for the kids or movies were played. I won't dig deeper into the history since it is well written about by so many historians and urban explorers it would be ad nauseam to write about it again. 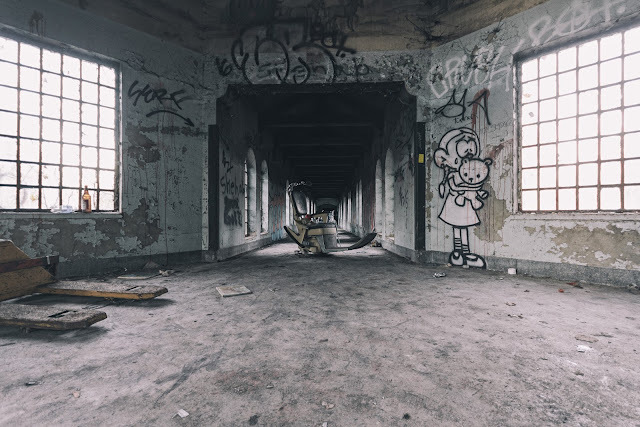 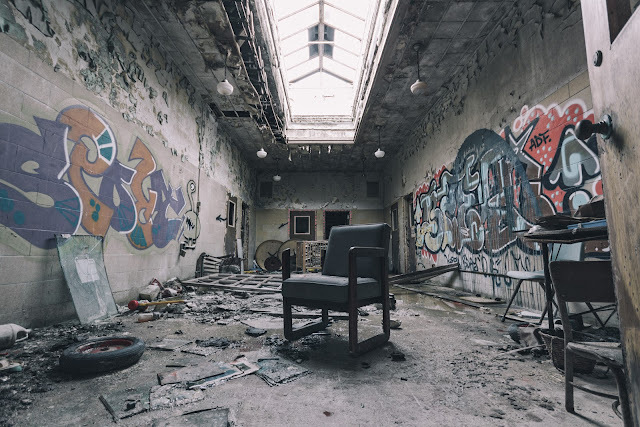 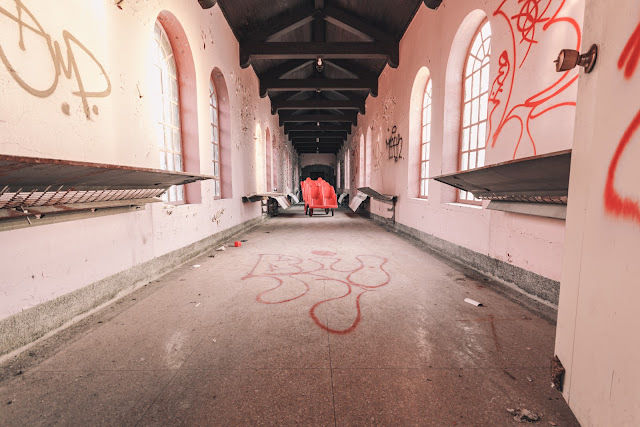 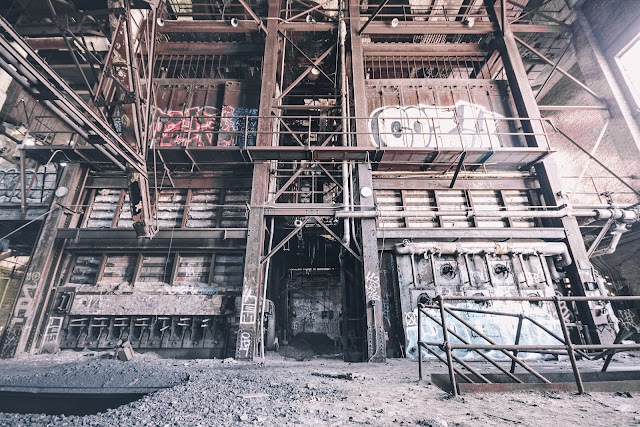 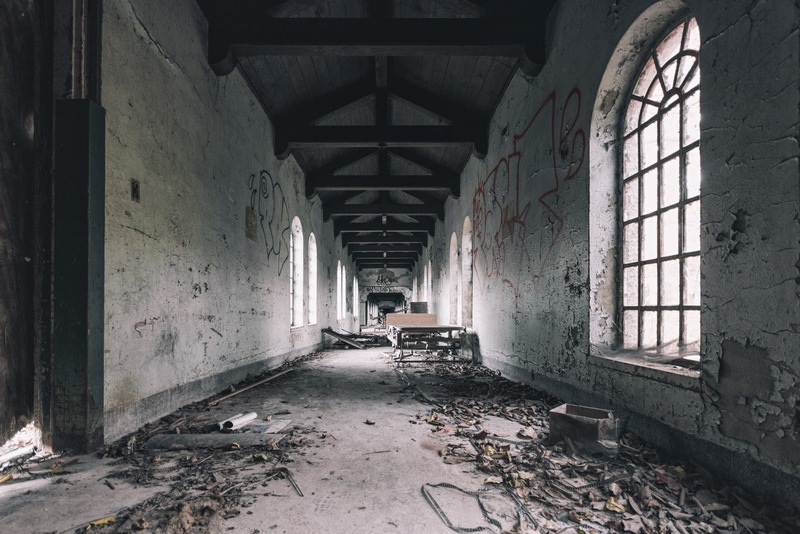 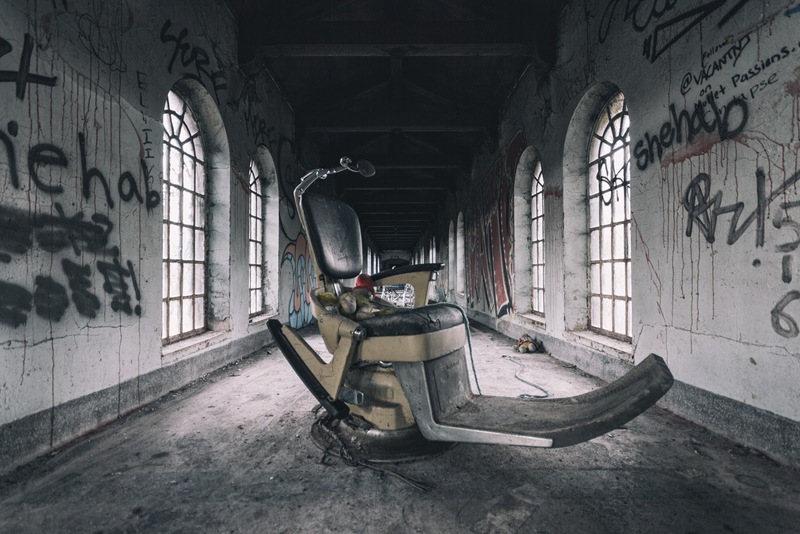 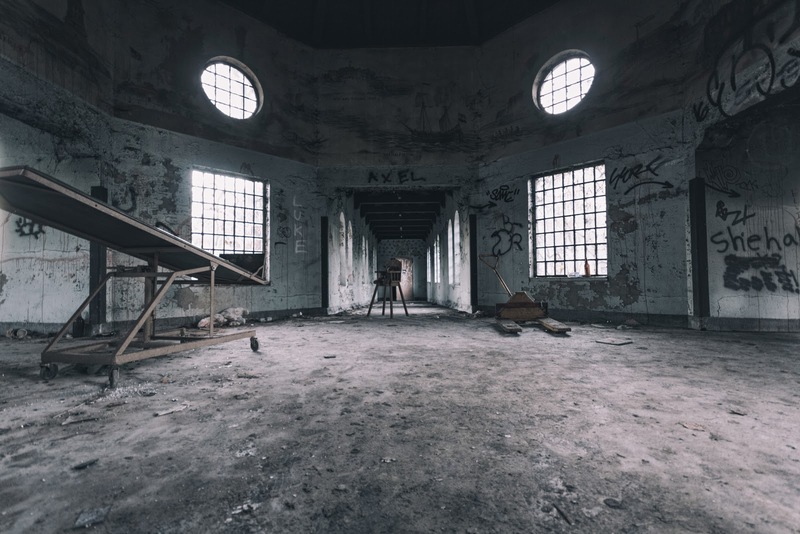 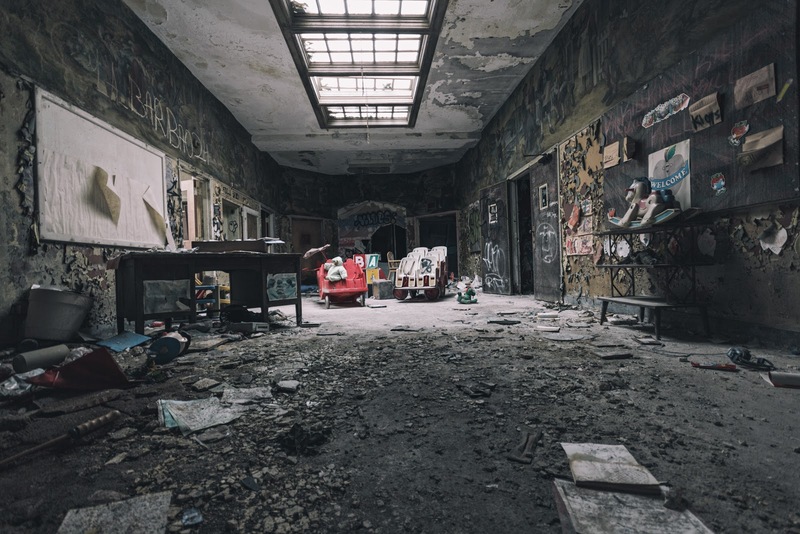 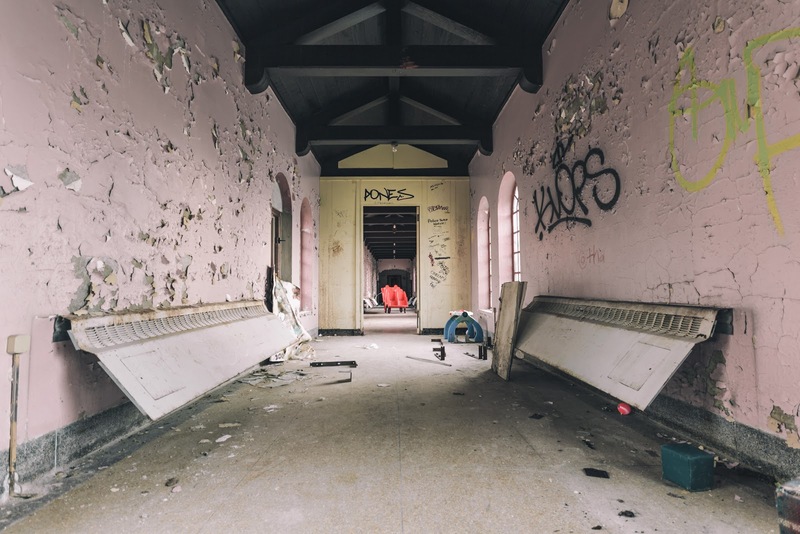 A great write-up can be found by Will Ellis in his series on Rockland Hospital: Abandoned NYC.